Finding a single mobile device that will meet both the ergonomic considerations and the workflow demands of your healthcare end-users is impossible – we understand. Taking into consideration the varied needs of your end-users, you can select the right rugged tablets or rugged notebooks that fit the needs of each worker. Our strategic partnerships with industry leading manufacturers not only give you the opportunity to provide the exact rugged tablets and rugged notebooks your teams need, but also helps to ensures your budget goals remain on track. Tailoring your mobile solution to fit the various needs of your end users is critical to bolstering productivity, ensuring patient satisfaction, and raising HCAP scores. Healthcare professionals rely upon CDCE to help them achieve True Mobility™ ; ensuring that their mobile deployments are optimized and operational 24/7. We provide the industry leading rugged notebooks and rugged tablets, professional installation services, and back them up with our responsive support and services teams. Partnered with CDCE, your end users will be more productive, patient satisfaction will increase, and your HCAP scores will reflect both. 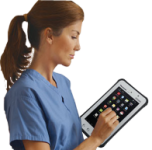 Having a wide variety of healthcare specific rugged tablets and rugged notebooks to choose from is only one aspect of how CDCE helps healthcare professionals achieve True Flexibility. Our 60+ cumulative years of experience in designing, deploying, and supporting rugged tablets and rugged notebooks, we are able to adapt and overcome to the issues and challenges of achieving True Mobility™. Partnering with CDCE will give you the True Flexibility your end-users need. 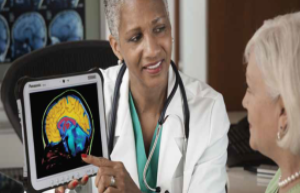 Providing the reliability and flexibility that healthcare professionals need ensures their ability to achieve True Productivity. Healthcare organizations that achieve True Mobility™ empower their caregivers to provide excellent patient care, reduce costs, increase productivity, as well as have higher employee satisfaction and retention. 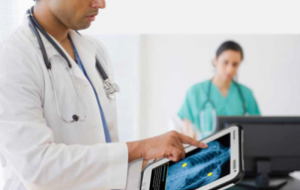 Achieving True Mobility™ for healthcare organizations means fully leveraging rugged tablets and rugged notebooks today, in preparation for the future.